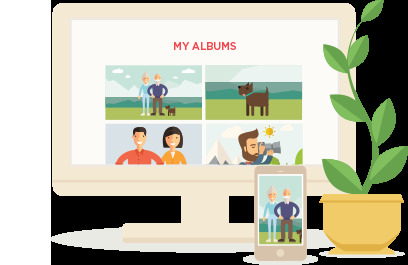 Subscribing to and having an active Photomyne account (formerly 'Photomyne Cloud') allows you to enjoy an entire list of additional supporting services. When you first install and use Photomyne's photo scanner app, you get an ample taste of what the app has to offer. Whether you're using the free or paid app versions, you are invited to join Photomyne by subscribing to and signing up for a Photomyne account. This makes it possible to enjoy additional services that complement your use of the app. Unlimited photo scanning (vs. limited number of albums for non-subscribers). Unlimited photo saving (vs. limited saving for non-subscribers). Photo saving in the best quality (vs. good/average quality for non-subscribers). Transferring photo files in the best quality to your PC or Mac via a downloadable link (unavailable to non-subscribers). Account and photo access on other devices - account sync (vs. access on a single device for non-subscribers). Web access, online account login and photo management (web access unavailable to non-subscribers). Had a previous subscription that has since expired? 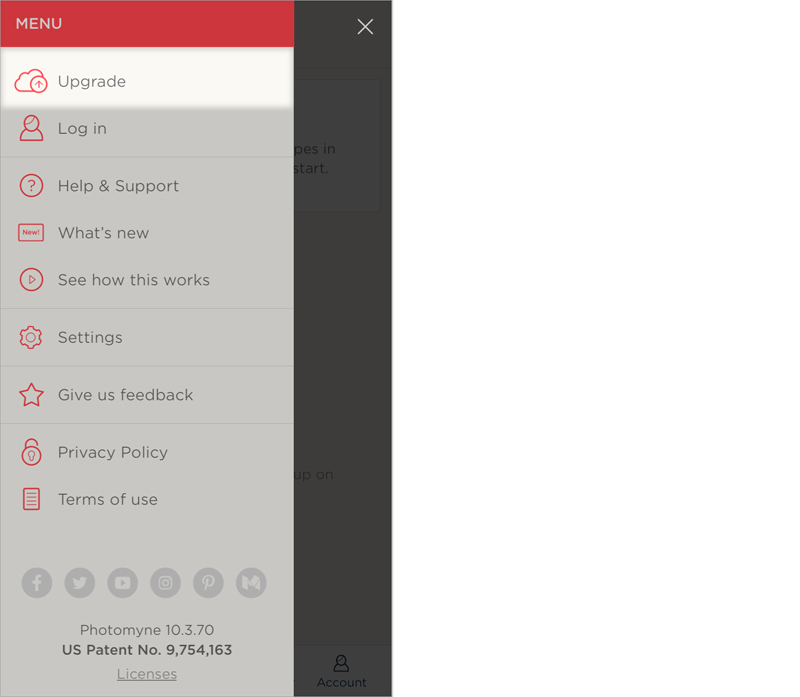 In that case, the app will simply revert back to a non-subscriber mode, or the basic functionality of the app when you first downloaded it. Any subscription-only features will become unavailable (locked). You are welcome to renew your subscription in order to regain access to all the unlimited features you had before. Read on to learn where you can do this in the app. Open the app's side-menu. See the Upgrade link? Tap that to start the registration and purchase process. Photomyne's account subscription options include a 6-month subscription plan, or a monthly one. The Photomyne account auto-renews at the end of your plan's timeframe (i.e. every 6 months, or every month, depending on your chosen plan), and once you decide to join you will be charged for that period in advance (recurring billing). But you can try it first for free! Make use of the free trial to see if it fits your needs. It's important to note that you may cancel the Photomyne account subscription at any time via your App Store/Google Play account. Doing this will cancel the renewal for the next upcoming period. In addition, we will always notify you of any price changes in the subscription plan so you will never be charged for something without your advanced knowledge or consent. It's important to note that ALL account subscription purchases in the app go through (and billed by) the App Store or Google Play, using your credit card details associated with your account in those store.